The Indy Folk Series is an all-ages listening room venue featuring superb acoustics, and a warm and welcoming atmosphere. 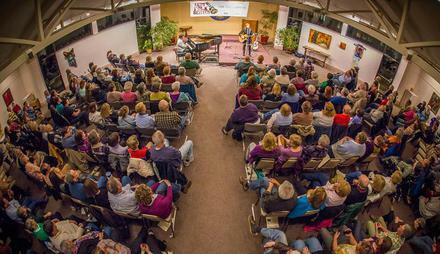 Concerts are held in the performance space at the Unitarian Universalist Church of Indianapolis, our home since the series was founded in 2001. What moves you? 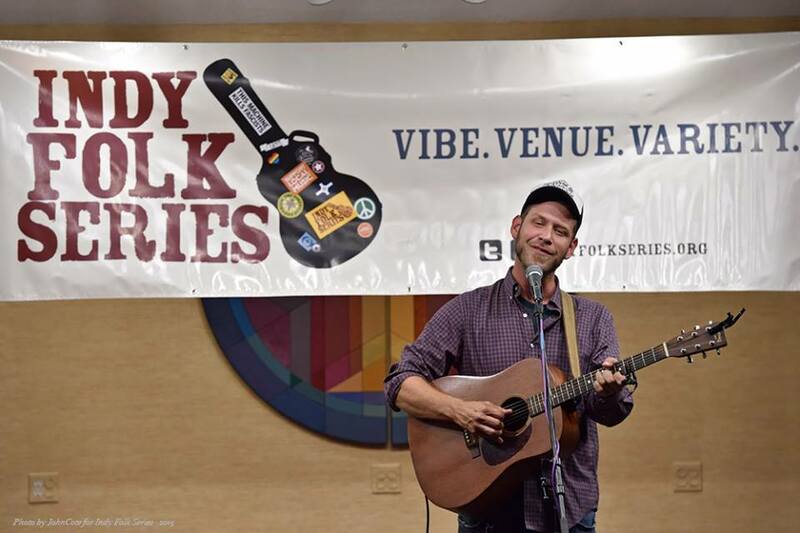 At the Indy Folk Series, it’s vibrating vocal cords, strings, tapping feet, clapping hands, and snapping fingers. The vibe is the stories that artists tell. It’s the insights, moments and connections we make in community. Beyond the music, it’s smiling over a glass of wine and a snack with friends. Artists feel inspired to give us their best, and they’re eager to return. This is live music at its best! The Indy Folk Series is a listening room. Performers can take chances and deliver what they feel and hear, and the audience responds. Our audiences enjoy a comfortable, intimate venue with opportunities to meet the performers. 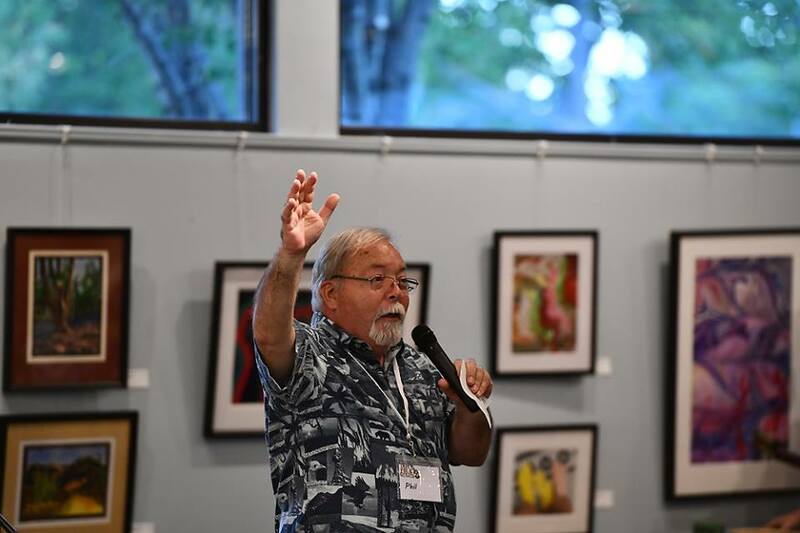 Art is in the air, but it’s on the walls, too: paintings and photography and sculpture and fiber art. Much of it is created by members of the church whose space we share. UUI is an open, honest group of exploring souls and this octagonal, windowed space reflects it. For more information about UUI, please visit www.uui.org. Americana is our DNA. “Folk” is our middle name. 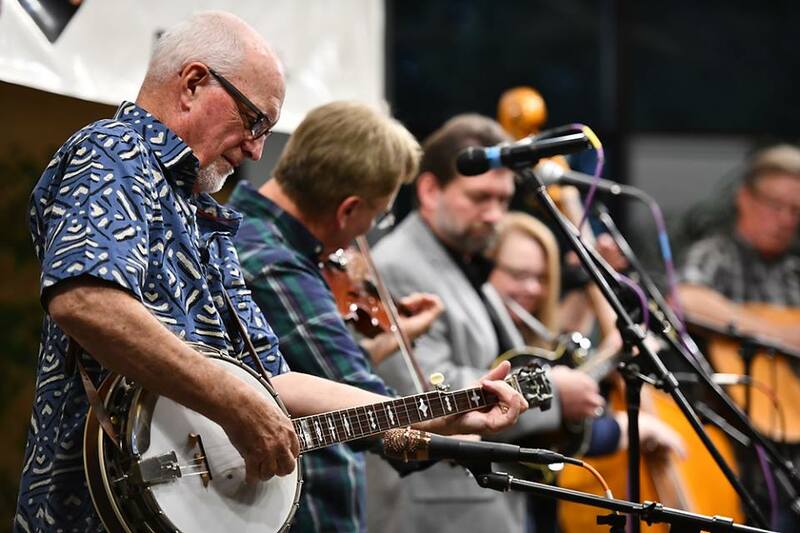 Our philosophy at the Indy Folk Series is to present a wide array of acoustic music – from Americana, Roots and Bluegrass, to Singer-Songwriters, Celtic, Swing, and Jazz – and everything in between. The Indy Folk Series is organized and operated completely by volunteers. 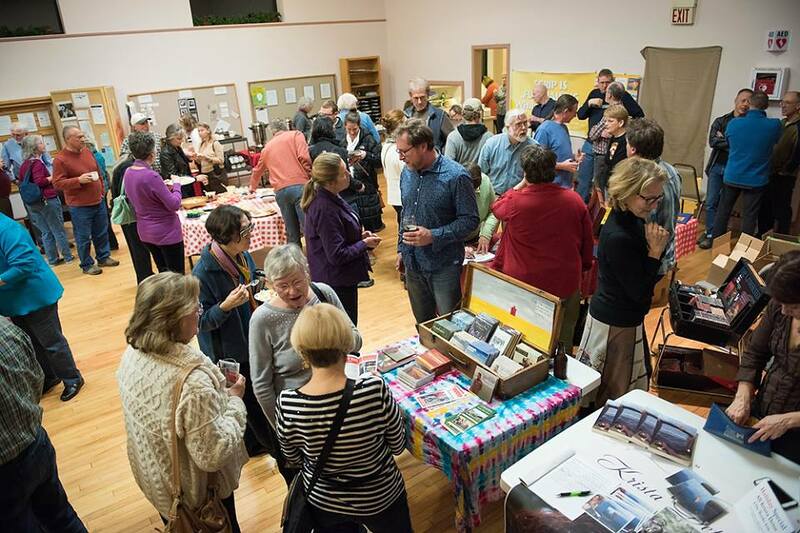 We are a fun, enthusiastic group of music lovers, who are friends “off-stage” as well as “on.” Nine people comprise our Board of Directors, and we meet several time throughout the year, (often over drinks or dinner) to plan and promote the season. An additional 10-12 volunteers help out on the day of the concerts, and we often adjourn to a local watering hole after the shows. If you would like to become involved with the Indy Folk Series, talk to one of the volunteers at a concert, or contact us at IndyFolkSeries@gmail.com. There’s a role for you! The Indy Folk Series normally presents one concert a month, on Saturday evenings, during our season which runs from September through May. We strive to present a mix of genres and styles, introduce our audience to new talent, AND bring back at least one returning favorite each season. Given the very limited number of concerts we present each year, one of our greatest challenges is selecting just a handful of acts from among all the talented performers whom we would truly love to invite to play our stage! We are proud to be a member of Folk Alliance International. 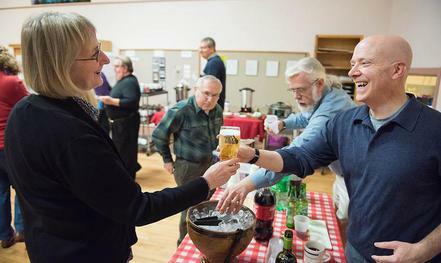 Our volunteers often attend Folk Alliance Region Midwest, an annual conference where folk and acoustic music professionals gather to meet, talk, learn, listen, promote, pay tribute, celebrate, sing, dance, and make music — and generally stay up way too late. The Indianapolis music scene is vibrant, diverse, and growing; with house concerts and new venues joining the mix on a regular basis. We’re happy to see central Indiana expand its musical horizons, and we’ve worked with new venues to offer advice and encouragement. We look forward to many more years of presenting a wide array of acoustic music, and we look forward to seeing YOU at an upcoming show!